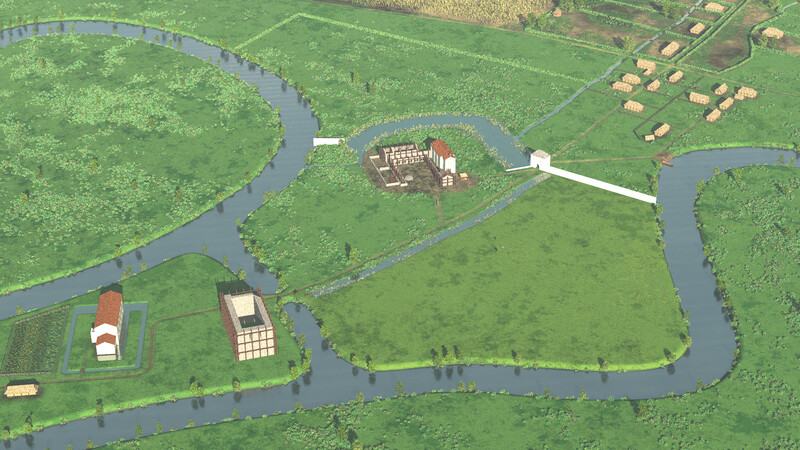 Between 965 and 1033, Ename develops from a small rural settlement over a trade settlement along the river Scheldt to a strongly defended “town-in-the-making”. 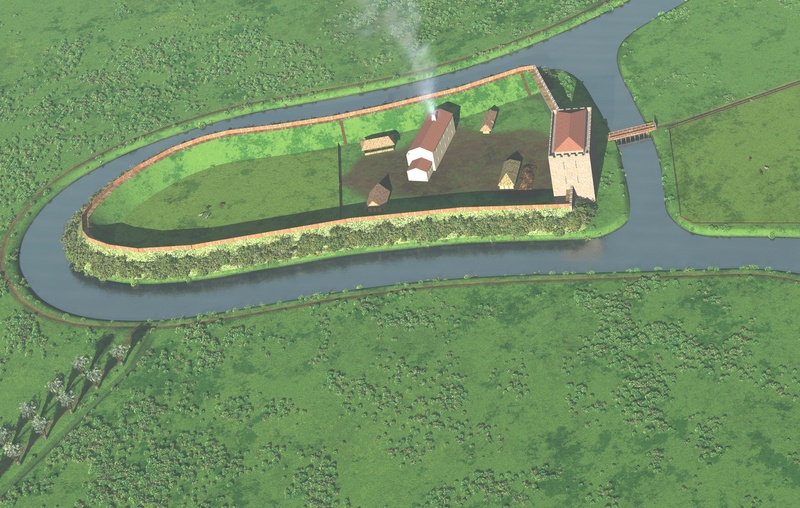 In 1033, this development is halted by the capture and destruction of the keep by the count of Flanders, and the trade settlement tries to continue on its own without the protection of a keep. 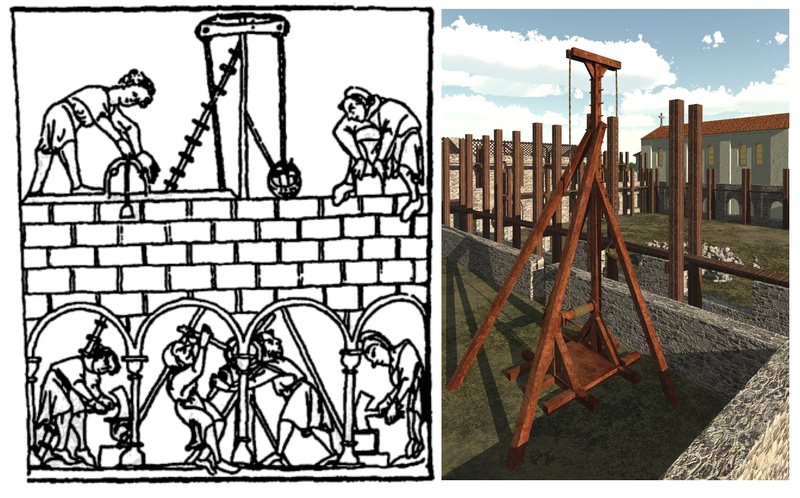 We have a separate blog that tells that story and shows our virtual reconstructions. In the period 1047-1056, the area between Scheldt and Dender gets integrated in Flanders by Baudouin V, count of Flanders and at that moment one of the most powerful rulers in West-Europe. Baudouin V and his wive Adela, daughter of the king of France, found in 1063 a Benedictine abbey, dedicated to Our Lady, in the remaining palace building on the site. Based on the historical sources and on the normal structure of such a building, we can assume that this palace building had a large aula and chapel on the first floor, and a kitchen, storage room and living room (camera) for the lord and his family on the ground floor. 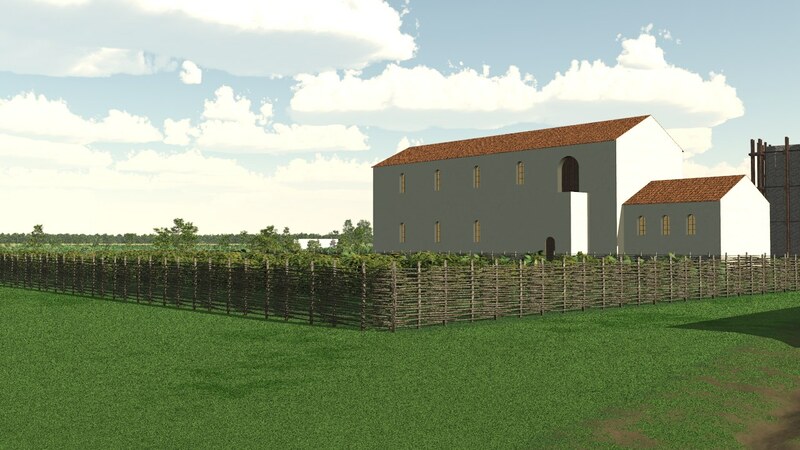 Turning this into an abbey building could possibly result in the following structure. On the first floor the aula could be turned into the dormitorium, adjacent to the chapel. On the ground floor, the storage room could be turned into refectory, adjacent to the kitchen. The camera could be turned into the abbot’s house. We have no idea in which space the daily meeting could have been organised (normally in the chapter room). 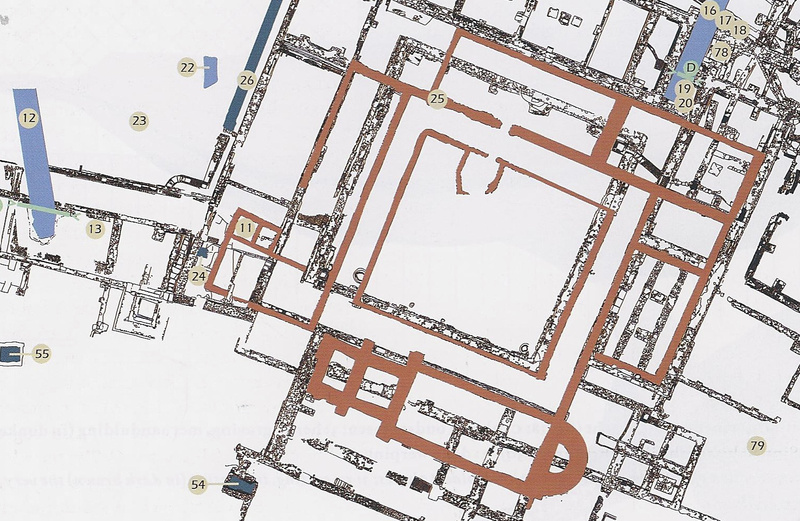 Around the building, probably a ditch was made to indicated that the abbey stood on “sacred soil” (documented by A. Vande Walle, who excavated the site in the 1940s). Next to the building, we can assume a vegetable garden. Although this hypothesis has little historical or archaeological sources to support it, it does give us a rough idea how the very first years of the monks at this site could have been organised. We also assume that the early abbey community organised a ferry service across the river. This is based on several plausible assumptions. First of all, around Ename, there were not many places to cross the river Scheldt around 1065. We can assume at that time a ferry in Leupegem and a bridge in Oudenaarde to cross the river, but in both cases, one had to go through the city, probably paying toll (see next image). In the Veil Rentier (written around 1275), a bridge is mentioned in Leupegem (see fol. 5r on page 14). The oldest bridge of Oudenaarde has been recently excavated, the stone version of the bridge is dated 12th-13th century but the bridge should be at least as old as the city (around 1040). Secondly, the road on the west side of the river Scheldt, leading from the ferry in the direction of Eine, looks much older than the abbey. During the first phase of the trade settlement of Ename (965-993) there was a good relationship between the rulers on both sides, the count of Flanders Arnulf II on one side, the Ottonian nobility on the other side (they were even family). So, in that period, it is plausible that both sides of the river were profiting from the presence of the trade settlement so that a ferry to the other side was quite obvious (Oudenaarde did not exist yet). 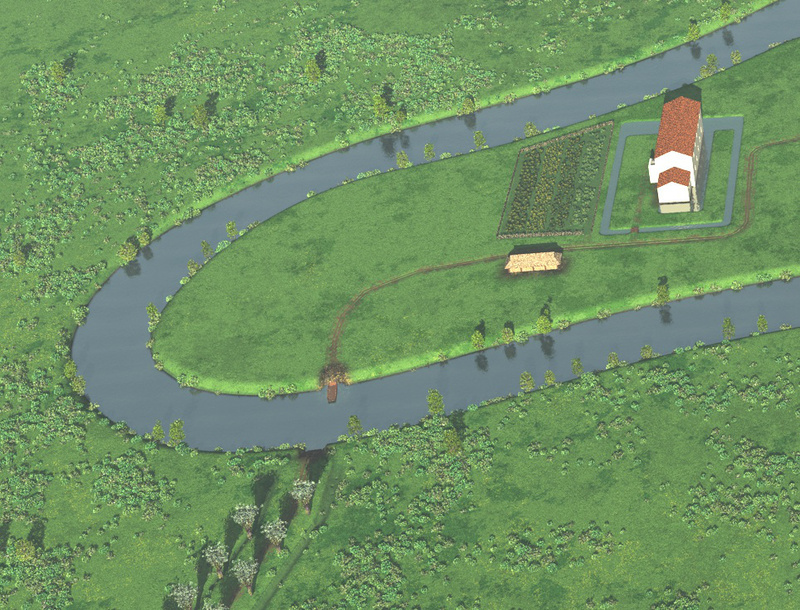 Before the Ename trade settlement, it is even possible that there was already an operational ferry, seen the old nature of the road on both sides of the river. 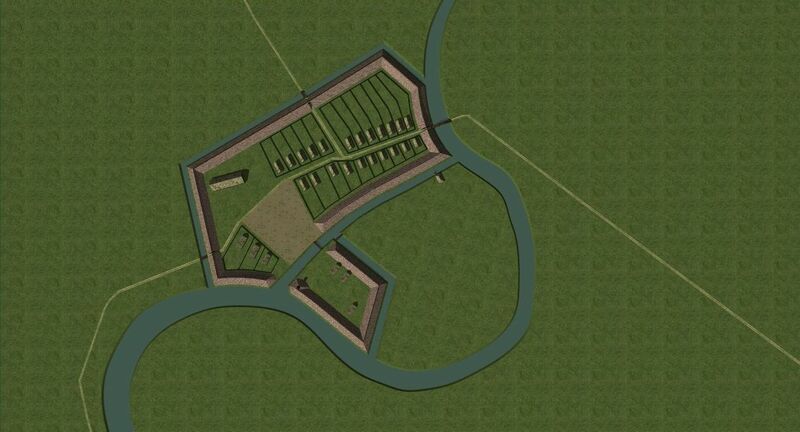 The military reorganisation of Flanders in 994 however triggers a defensive reaction on the Ottonian side: the trade settlement gets a walled castrum with an impressive stone that simply blocks the transit over the river (see image above). However, when both sides of the river are again in the same hands from 1056 onwards, restoring the former ferry transit must have been a logical thing to do. After all, the ferry service was an easy source of income and the abbey itself needed to have easy transport of goods from Oudenaarde (which was the closest place where craftsmen and a market place was available) to build the abbey. Thirdly, with its foundation, the abbey received the right to collect toll on passing ships. But how do you make a passing ship stop to pay its toll? 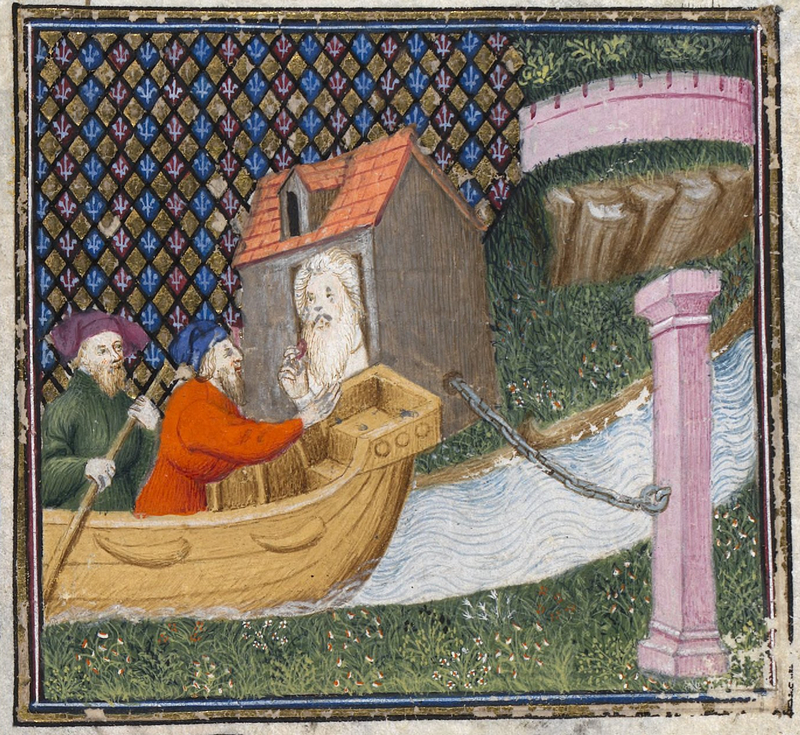 The simple way to do this is to put a strong metal chain across the river, as shown in the medieval miniature above. When the ship could pass, the chain was lowered in the water. The nice thing however it that a ferry boat, in which you can cross the river with a horse and chariot, needs also a chain across the river to guide the boat to the other side. So both functions naturally go together. 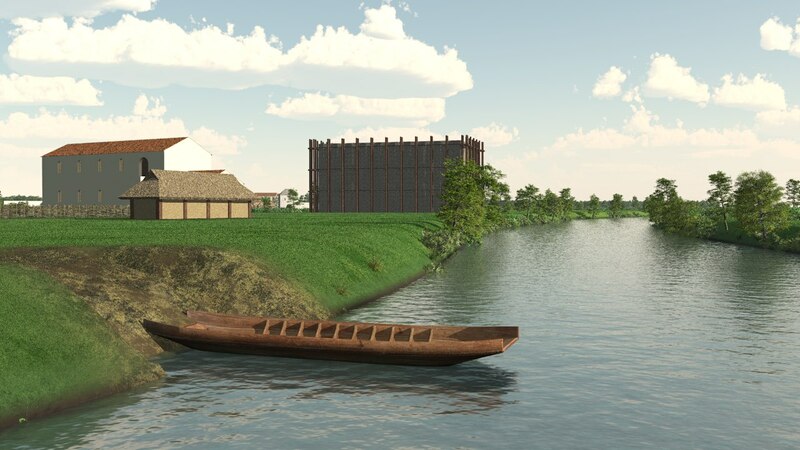 In the virtual reconstruction above, we show a house close to the ferry. This house is not only the house of the ferryman (as depicted in 16th century drawings of the abbey) but is also the house of servants, as the abbey will have employed personnel from the very beginning. Living in the former palace buildings must have been only a temporary solution from the very beginning. There was not only a nice church standing at 200 m from the palace building, there was also the ruin of the keep at 200 m from the church, with massive walls of about 4 m thick, that provided all stones needed to build a new abbey. 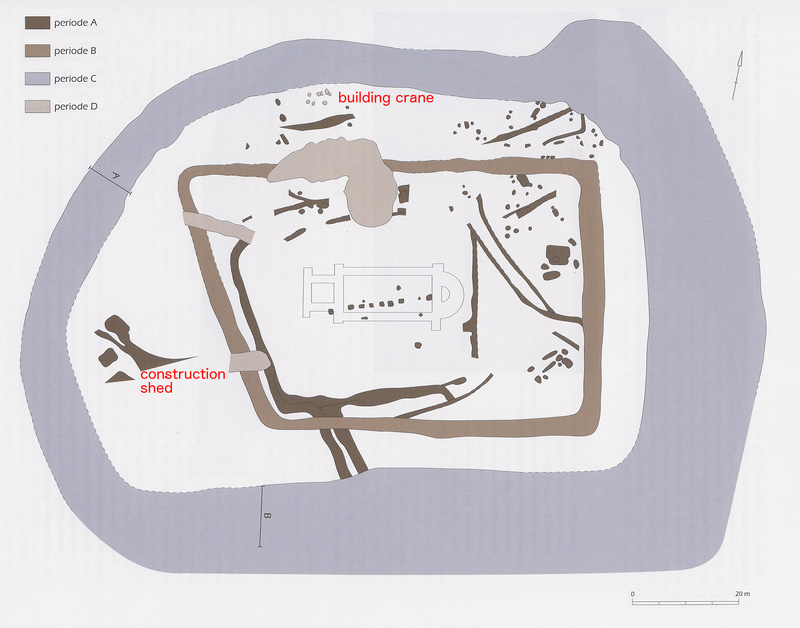 The terrain itself was quite suited to build an abbey of the right size, except for the very north-east corner of the building that was built in the defensive moat around the church that was dug after the destruction of the keep in 1033 (see excavation drawing above). After a while, this must have produced some instability, testified by a large buttress that was added afterwards, and is still visible on the archaeological site. The first abbey very much reflected the ideal plan of a Benedictine abbey, except for one thing: the plan is mirrored north-south to make it fit on the available terrain. 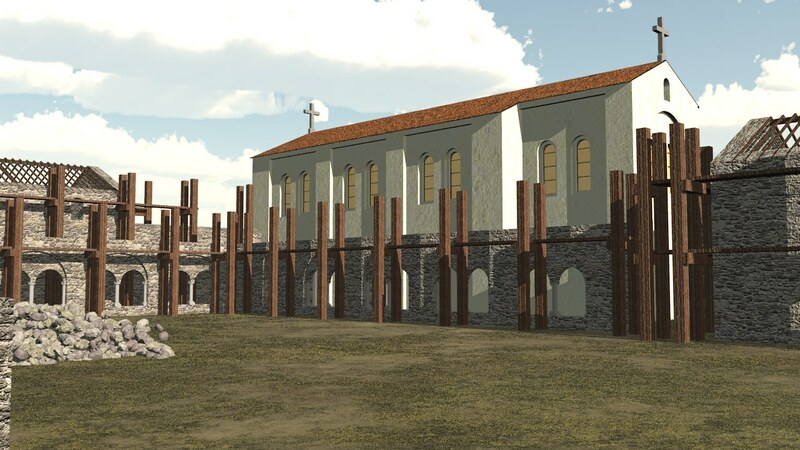 In a first phase, it consisted of the existing Saint Salvator church, that was the church of the trade settlement, an L-shaped volume that contained the chapter room, the storage room, the kitchen and the refectory, a lavatorium and the house of the abbot close to the entrance of the abbey. 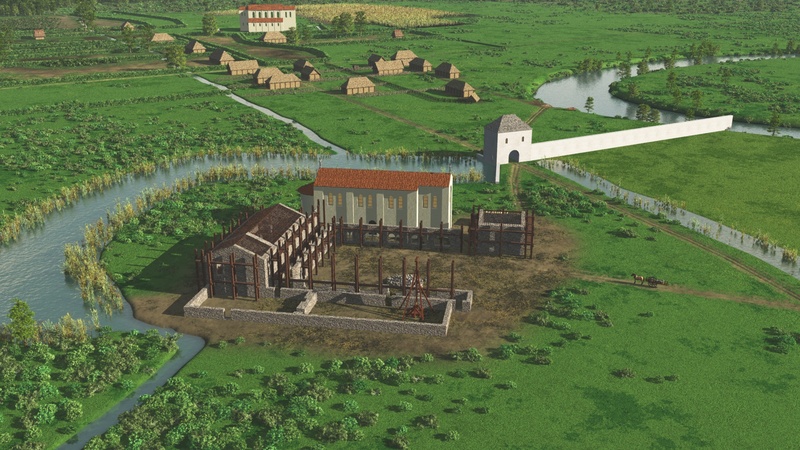 In this reconstruction phase, traces of the building activity have been interpreted and visualised. Specific traces of postholes have been interpreted as traces of a medieval building crane while other traces have been associated to a construction shed where mortar was made. 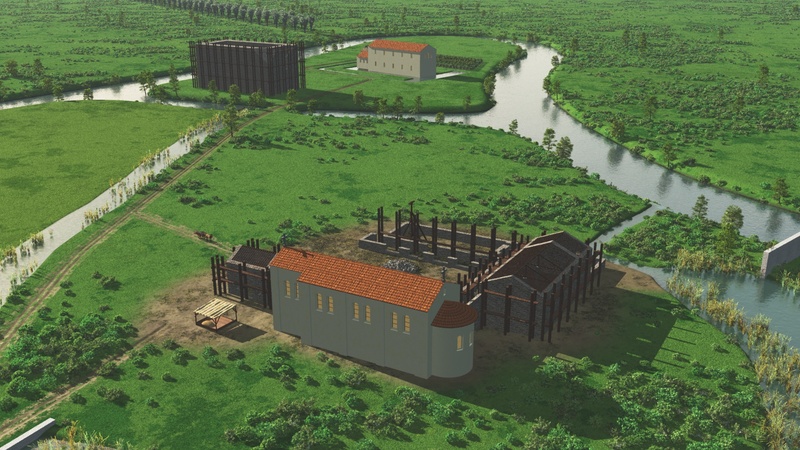 Practical information about he building processes of that time are being researched and demonstrated at sites such as Guédelon and Messkirch. 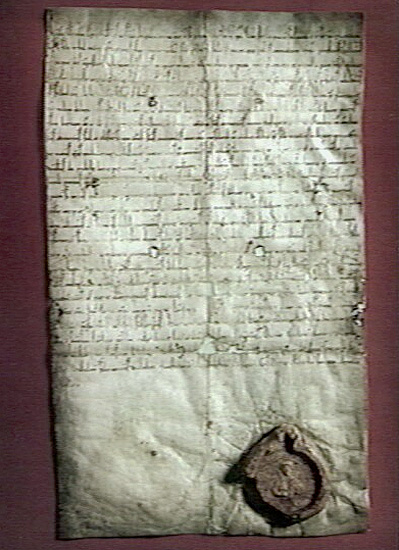 When the abbey was finished, it got a second founding document in 1070 as it changed from Our Lady abbey to Saint Salvator abbey. Countess Adela agreed to do so on the condition that the chapel of Our Lady was kept operational, so the monks turned the former abbey building into a vast chapel for our Lady. In 1085, citizens of Oudenaarde contributed financially and in kind to support the chapel and to have masses celebrated in their name.